Published Sep 29, 2009 by New Riders. Part of the Voices That Matter series. This video on DVD is by renowned designer and author Andy Clarke. In his book, Transcending CSS: The Fine Art Of Web Design (New Riders), Andy set the stage for the development of progressive Web site design using XHTML, CSS and other Web-standards technologies. 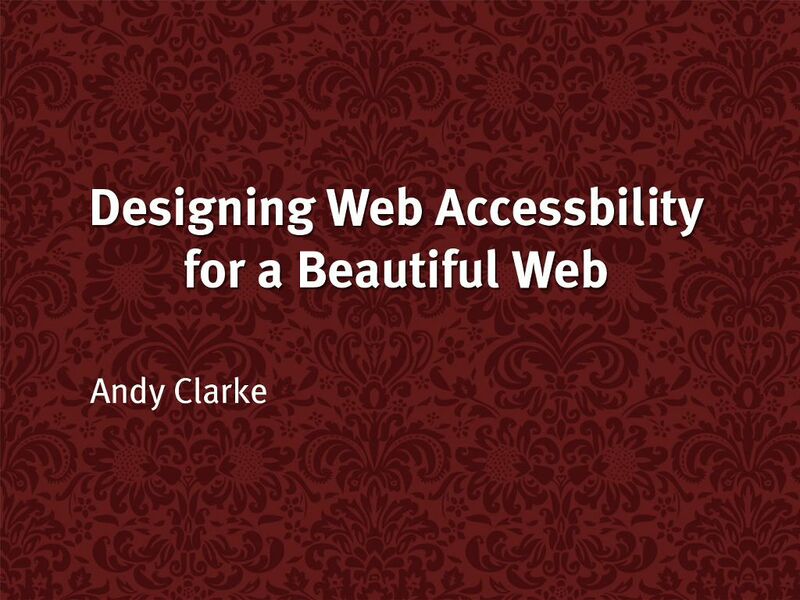 In this new video, Andy picks up one of the more challenging aspects of Web design: making sites accessible to as wide an audience as possible while still maintaining a solid design aesthetic. 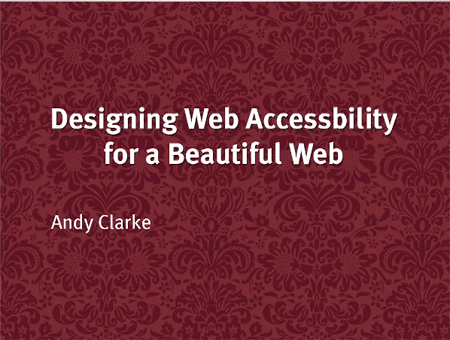 In the video, Andy shows how using a modern workflow, which includes designing using a web browser, eliminates common accessibility problems. You will learn how to design accessible content as well as write accessible HTML and XHTML markup and CSS. You'll also learn key business benefits of creating an accessible site, including more value for money spent on design and better search engine placement. Throughout the video, Andy demonstrates these concepts using examples from a fictitious social networking site he created and files are included on the disc for viewers to follow along.